The other day I got an email from a follower asking for “styles under 70 USD”. True, some of the cool fashion from African Designers can be quite pricey and I also can’t spend 200+ bucks on a coat or dress whenever I feel like it. Reason for the high prices: very often the items are handmade – and that just costs! Anyhow, I went on the hunt for some items that are more affordable. I adore the tote bag by Eva Sonaike! 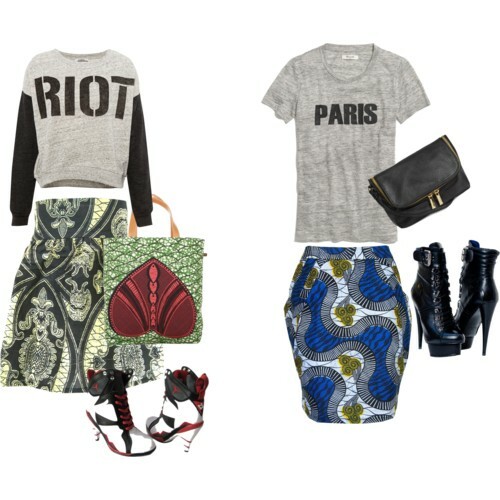 What do you think – would you rock any of these items or combinations? Please comment below.